Great pillow for the petting zoo or at the dairy farm. This zebra inspired neck roll pillow is a stunning animal print fabric neck pillow. 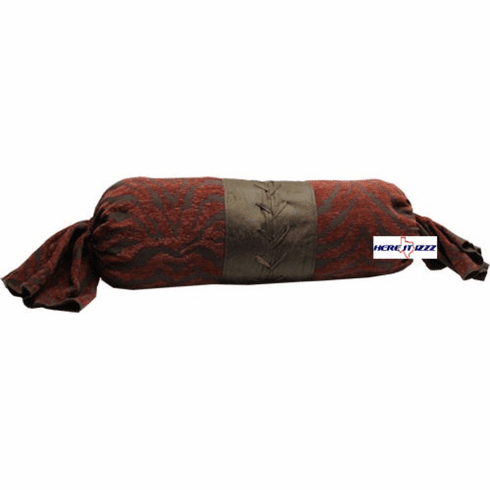 This gorgeous throw neck roll pillow features Red Zebra and brown raised textured chenille zebra print.